We got an amazing Faraday centric episode this week ! 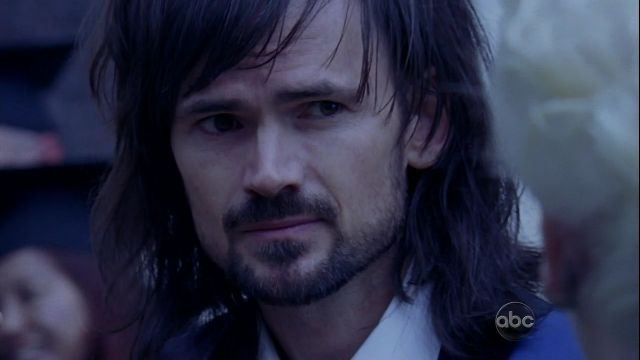 The flow was a bit better than Sayid’s episode. Though a few less flashbacks/forwards would have been fine as well. Everything fell into place in this episode. 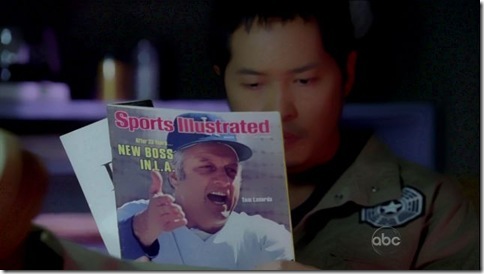 The scene from the season 5 opener, with Chang at the drill site. An emotional wreck Dan, watching the plane crash. Dan telling Charlotte to get on the sub etc.. So I thought that was it, tieing everything together and moving on with the story. I tried to avoid telling you this. I didn’t think I could change things. But maybe I can. But the whole point of this episode was Dan desperately trying to change the future. And in the end he found out that ‘Whatever happens happens’. Was this really Dan’s destiny, to be shot by his mother in 1977 ? You would think his mother had bigger plans for him, but she now even had to send him back to the island. ‘Don’t talk to me about sacrifices !’ Eloise tells Dan’s father Widmore. Posted in Movies / TV and tagged lost on 30/4/2009 by Eric. Windows 7 RC1 will be released on MSDN on april 30th. There is a very nice review/ preview on the windows supersite. From my experience so far (from the public beta): it’s very slick and snappy. The ui is a lot better too, especially the task bar. It stacks the programs in a much nicer way, and you can easily switch between windows etc.. But read the extensive review below for (much) more info . But Windows 7, in release candidate guise, is already a towering achievement that casts Windows Vista immediately in its shadow. Posted in Computers, wordpress and tagged windows on 27/4/2009 by Eric. A very entertaining episode this week. A bit different from the few previous ones as it had a somewhat lighter tone. This one tells the story of Miles. 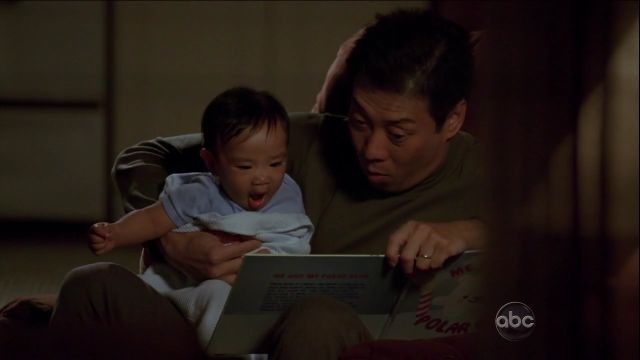 It turns out that it was true what most people were already expecting: Miles is indeed the son of the Dharma Initiative video man Chang. 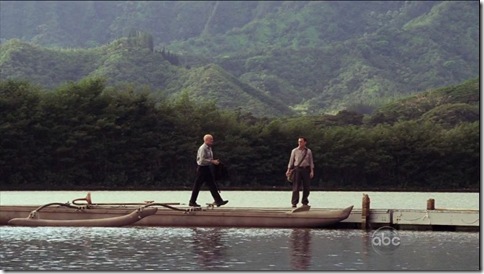 At some point, early in his life, Chang sent Miles and his mother off to the main land though, and never saw him again. We haven’t seen how this went down, maybe he saw the impending doom coming down the road or something else was up and thought it was safer to send them away ? The final scene was quite touching, even Miles got a bit teary eyed, where Chang was reading a story to his son. 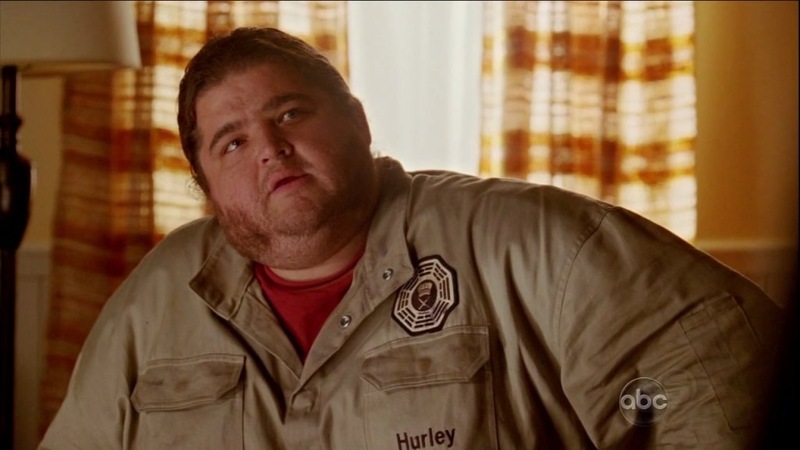 The scenes with Hurley and Miles in the van were very funny. 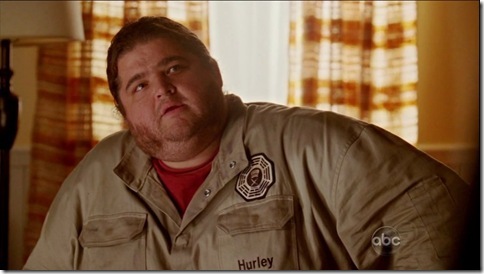 It’s funny that Hurley thinks he has some sort of similar gift as Miles does. “You’re just jealous that my gift is better than yours” was hilarious. In his review of this episode, Alan Sepinwall asks what would you do to improve "Empire Strikes Back", as it is already so good. Well maybe we have been watching the Hurley improved ‘Empire’ all this time :). Posted in Movies / TV and tagged lost on 18/4/2009 by Eric. Every time you hear whispers, you run the other way ! Locke was especially funny this episode. Apparently relieved to be living again, he has a somewhat more relaxed attitude and appears to be more lighthearted. My favorite quote when Ben says he couldn’t let John be killed (again) : “No sense in me dieing twice, right ?”. 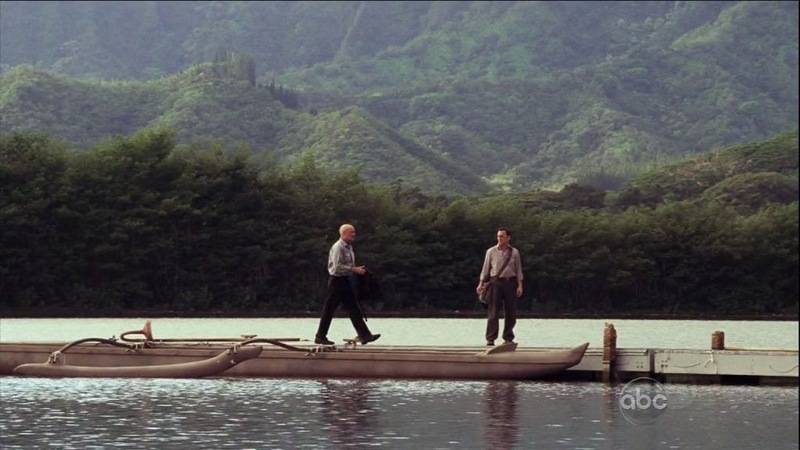 There is something about those shoes by the way, that’s why we got the scene with him putting on his shoes on the dock. And of course the “now you know what it’s like to be me” exchange with Ben was brilliant. I guess I wasn’t the only one cheering for Desmond when he smacked Ben around. Ben didn’t seem too confident when he was going after Penny. I especially liked the look on his face when Charlie showed up. That’s when he had second thoughts and Desmond was able to get him. The “your father is a terrible human being” was a bit odd, coming from a cold blooded killer, but I guess Alex was one of the few things he really cared about. Still Ben tells Sun that ‘he’s sorry’. It isn’t clear at this point why ? Or is it for shooting him ? The ‘judgment scene’ was very well done. Ben got to see images from the past and eventually ‘it let Ben live’, accompanied by the usual Smoke Monster sounds. I assume Alex in the moments thereafter was another one of those ‘island dead people manifestations’ of the likes of Christian Sheppard. It was very clear about Ben having to follow Locke and especially not kill him again. Loved the look on Ben’s face when he told Locke “it let me live” ! Very well done Michael Emerson ;). Posted in Movies / TV and tagged lost on 10/4/2009 by Eric. A Kate centric episode this time, and I usually don’t really care for those. But this one was decent. Some great quotes and a few very interesting scenes. 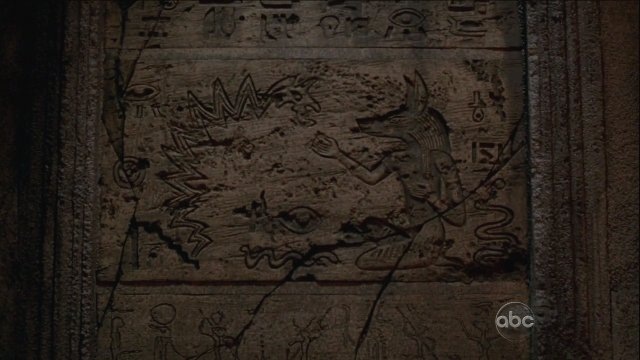 The story how and why Kate returned to the island was told, along with some more info. Time isn’t a straight line for us anymore ! The scenes with Myles and Hurley were very amusing. Hurley playing the role of the general lost audience who are now a bit confused about the whole time traveling thing. Neither Hurley nor Myles seemed to have definite answers, even though Myles at first thought he did ;). The title referred to this part of the show as well. Apparently this is the way Ben was supposed to become the leader of the others, just like Jack wasn’t supposed to operate on him this time around. Juliet didn’t get that memo yet though :). Alpert about reviving / saving Ben: his innocence will be gone and he will always be one of us. What does that mean ? Are the others like undead people ? Zombies ? Why did they insist on getting that body from that guy that was shot a bunch of episodes ago ? Sounds a bit like voodoo at the moment, hope this will be revealed shortly ! Don’t have much to comment on Kate’s story. Seems to be pretty straightforward, although she cared more for Sawyer than I thought she did. Last scene with Locke sitting next to Ben’s bed was wonderful: Hi Ben, welcome back to the land of the living ! Posted in Movies / TV and tagged lost on 4/4/2009 by Eric.